Singapore Anglican Community Services (SACS) and St. Andrew’s Mission Hospital (SAMH) hosted a charity dinner this evening. The event was graced by Mr Chan Chun Sing, Minister in the Prime Minister’s Office as Guest-of-Honour. 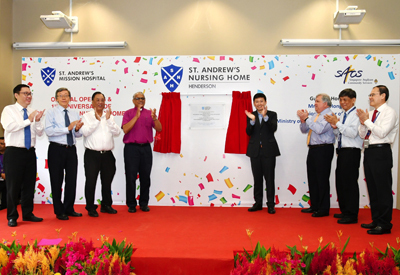 In his speech, Mr Chan lauded the contributions of SACS and SAMH in shaping Singapore’s health and community care landscape throughout the years, providing holistic care for patients to meet their medical, social and psychological needs. SACS, which celebrates its 50th anniversary this year, is the largest psychiatric community rehabilitation service provider in Singapore providing a continuum of care in mental illness recovery. 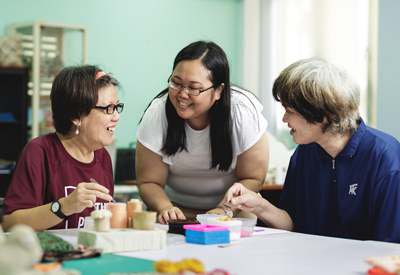 Its Psychiatric Services arm includes both Residential and Day Rehabilitation Services at Hougang Care Centre (HCC), Simei Care Centre and Anglican Care Centre (Farrer Park); Day Rehabilitation services at Community Rehabilitation Support and Services at Bukit Batok, Pasir Ris and Yishun and Integrated Employment Services (IES). Each year, SACS’s psychiatric rehabilitation services attend to approximately 2,000 patients and clients. 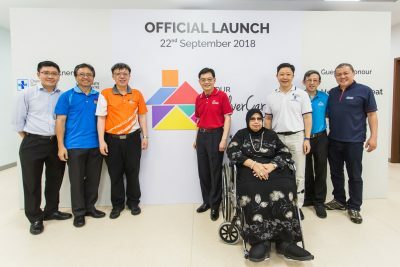 In the fourth quarter of 2017, SACS will have an additional service to its psychiatric services care continuum with the opening of the Anglican Care Centre (Farrer Park), a temporary accommodation to provide support for up to 60 adults and 20 youths, who are in mental health recovery and are ready to return to independent living in the community. 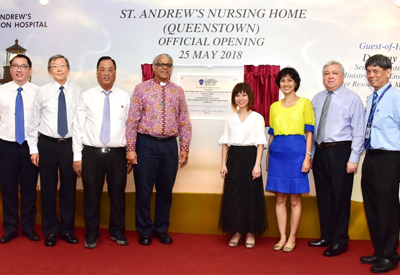 SAMH started operating St. Andrew’s Nursing Home (Henderson) and St. Andrew’s Nursing Home (Queenstown) in February 2017 and April 2017 respectively. A third nursing home at Dover Avenue, an initiative of St. John’s – St. Margaret’s Church, in collaboration with SAMH, is expected to be operational in 2020. All three nursing homes will provide integrated residential, centre-based and home care services, together with a co-located senior care centre.